SUNSEEKER CAMARGUE is certainly one of the most iconic yachts of her class afloat. 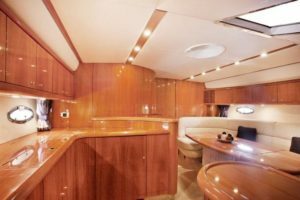 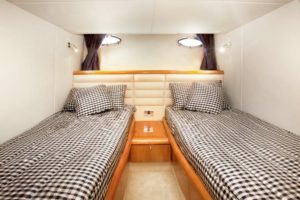 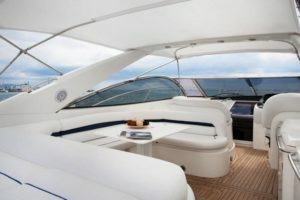 Built to the same standards of attention to detail, finish, she has everything a guest could wish for provided in quite a compact package for day charters. 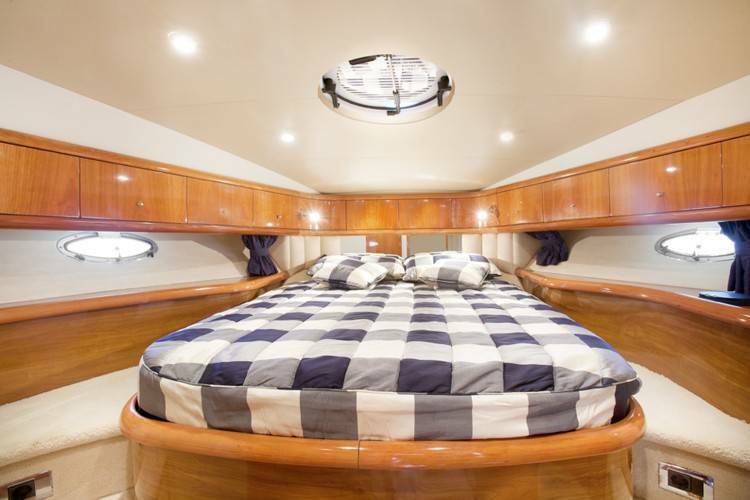 She can host up to 6 charter guests overnight and 12 for day charters in Barcelona. 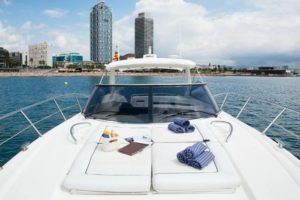 You can explore Barcelona and Sitges by yacht, as well as El Garraf, a nearby nature reserve. 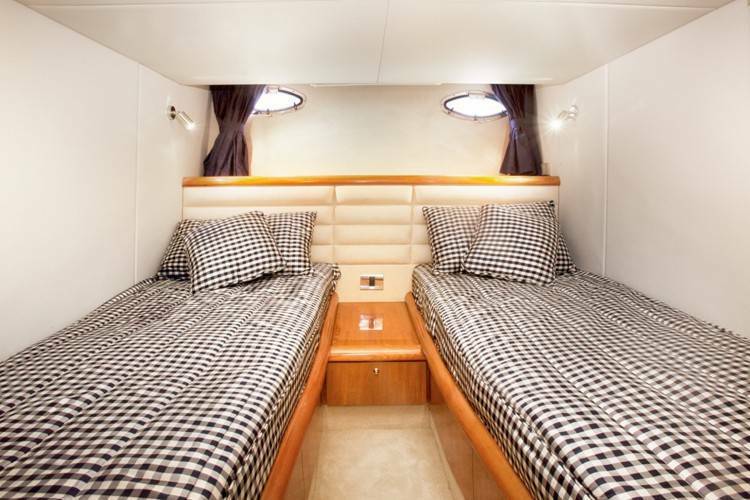 She features ample sun pads and thrill-seeking guests will enjoy playing with the doughnut, paddlesurf or snorkelling. Enquire now with charterdart to charter a yacht in Barcelona and Sitges. Cruise south from Barcelona for a morning of watersports anchored off the long sand dune beaches of Castelldefels, protected as a nature reserve for their fauna. 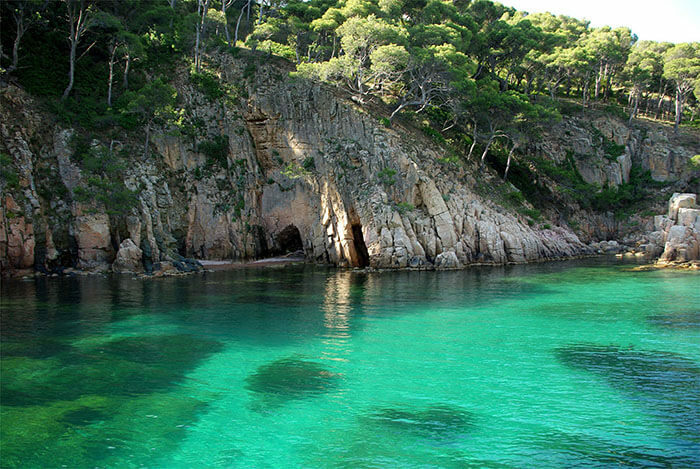 Stray further and anchor in Platja de les Casetes and savor the fresh local prawns there. 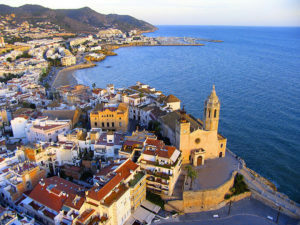 From there, set sail south to Sitges, a charming old fishing village that is often frequented by football players and celebrities and savor the best Catalan gastronomy in the renowned restaurant la Fragata. 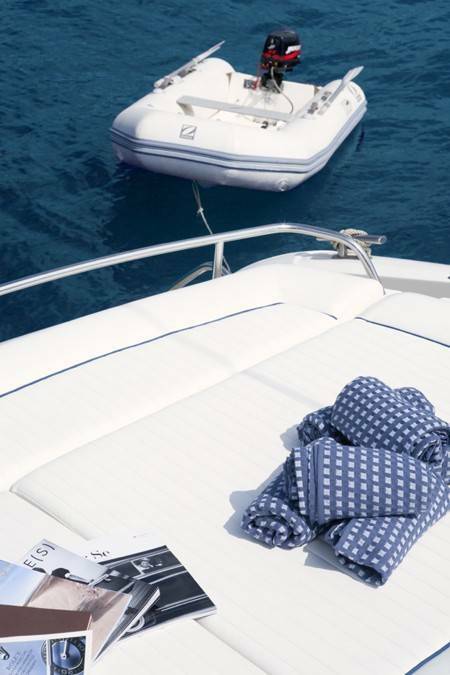 Unwind onboard for an afternoon of sunbathing and relaxing. 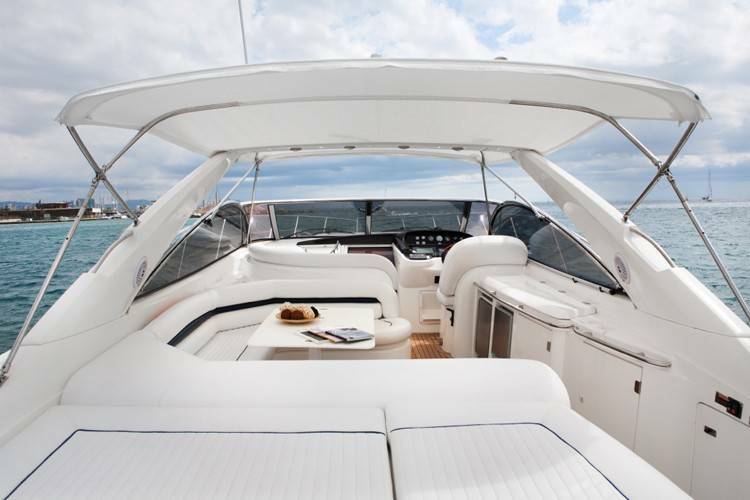 ARE YOU READY TO RENT THIS YACHT?